The Bach Festival of Philadelphia (Bach Festival) introduces, illuminates, and celebrates the music of Johann Sebastian Bach, his contemporaries, and those whom he inspired, by presenting historically authentic professional performances that are accessible and affordable to all. 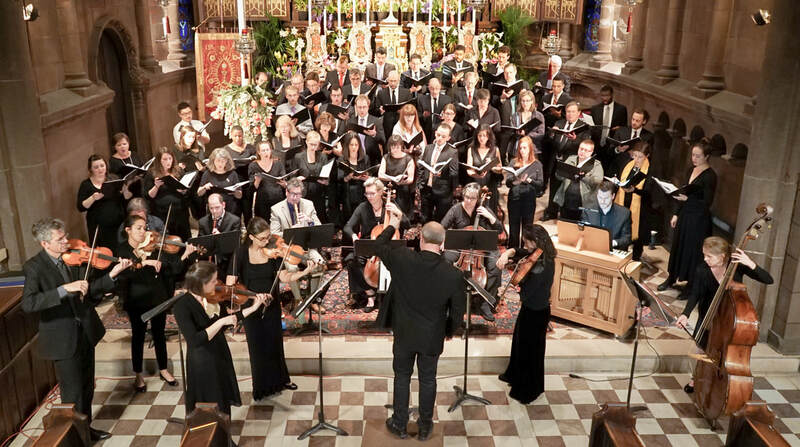 Since its founding in 1976 by conductor Michael Korn as a community-based project, the Bach Festival has consistently celebrated the music of J.S. Bach, in particular his larger vocal-instrumental works. In its early years, the festival rapidly grew to become one of Philadelphia’s preeminent producing organizations, with a wide variety of programs and projects, including media partnerships with WHYY Television and WFLN-FM and substantial education and community outreach, from scholarly initiatives to young artist competitions. The Bach Festival has enjoyed a successful tenure of sustained growth and recognition under the artistic and executive direction of a number of talented individuals, from Dennis Schmidt to Jonathan Sternberg, to the organization’s current Artistic Director, Matthew Glandorf. At the time of Matthew’s appointment, it was clear that the Bach Festival was in a re-founding moment as an organization. Following several decades of shifting models, Matthew has returned the Festival to its roots as a producer of concerts with its own resident ensemble, the Philadelphia Bach Collegium, a group of the region’s finest Baroque instrumentalists and singers. The Festival’s location identity has shifted from Chestnut Hill, where it began, to Philadelphia's Center City, with its programs focusing on J.S. Bach and Baroque repertoire presented with well-researched, historically-informed performance practice. 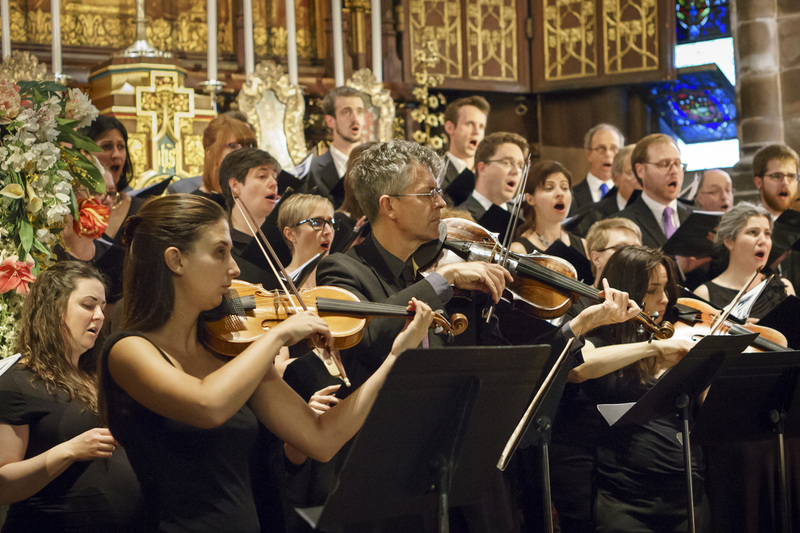 In the fall of 2013, Bach Festival has partnered with Choral Arts Philadelphia to create Bach@7, a mid-week, casual concert series centered around cantatas and other choral and instrumental works by J.S. Bach. The series is meant to create an accessible musical event for all audiences, regardless of musical affinity or socioeconomic status. Starting in 2016, Bach Festival, again in partnership with Choral Arts Philadelphia, created Bach@7 chamber concert series to showcase the Bach Collegium and local talent to a broader audience. A copy of the official tax-exempt 501(c)(3) registration and financial information for The Bach Festival of Philadelphia Inc. may be obtained from the Pennsylvania Department of State by calling toll free, within Pennsylvania, 1-800-732-0999. Registration does not imply endorsement. The Bach Festival of Philadelphia receives state arts funding support through a grant from the Pennsylvania Council on the Arts, a state agency funded by the Commonwealth of Pennsylvania and the National Endowment for the Arts, a federal agency. ​A copy of the official tax-exempt 501(c)(3) registration and financial information for The Choral Arts Society of Philadelphia Inc. (administering Choral Arts Philadelphia) may be obtained from the Pennsylvania Department of State by calling, toll free within Pennsylvania, 1-800-732-0999. Registration does not imply endorsement. Choral Arts Philadelphia receives state arts funding support through a grant from the Pennsylvania Council on the Arts, a state agency funded by the Commonwealth of Pennsylvania and the National Endowment for the Arts, a federal agency.